Hello, Thursday. Let's see what you have in store for us today, eh? I know I should have a dice delivery at some point, so that's good. The weekend's almost here. It's a long one and I've got game on Saturday and possibly Sunday, so that's also good. So, while it's been ridiculo-busy at the office, I've got some good stuff to look forward to. 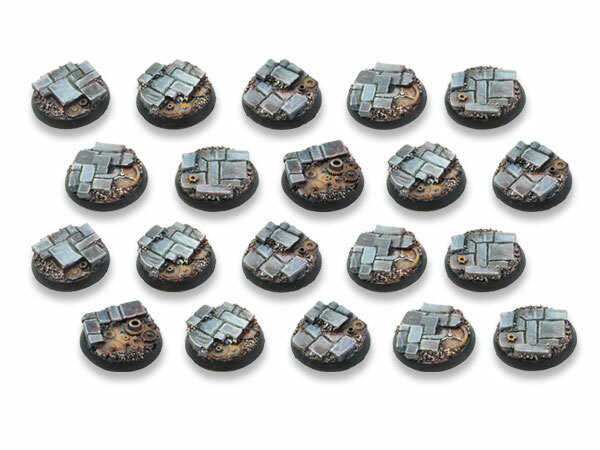 In the meantime, let's get your gaming tables looking good. Today in the Terrain Corner we have: New Hive City Angel Statue From Tabletop Scenics, Heroic Maps Releases Docking Bay 36 Map, and SAGA Runestones Available From Brother Vinni. 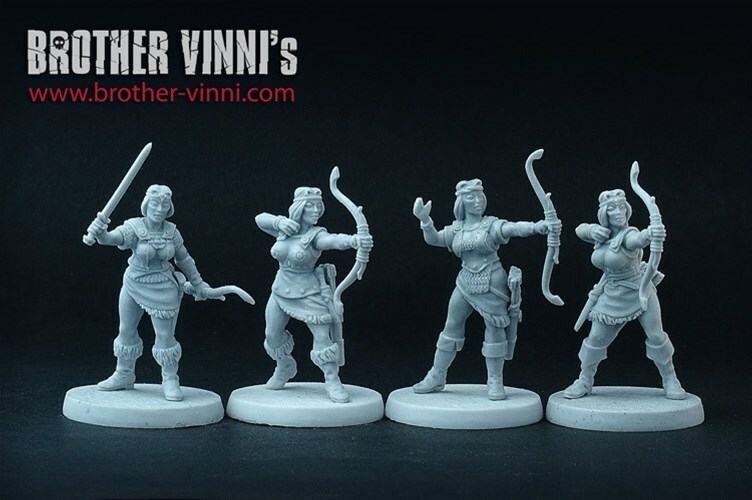 Brother Vinni expands their miniaturs line for SAGA with the release of their new unit of Female Berserkers. Their love for you is like a truck, and they obviously don't get cold easily. As such, I can't actually show you pictures of them, as we keep things PG-13 around here. In a way, it's Wednesday, because that's what day it is. In a way, it's Friday, because it's the last day of the work week. In some ways, it's both, because we have a Snippets post here for you. So, before you chow down on all the food tomorrow, let's get you some bite-sized gaming stories to snack on. Today on the platter we have: Game Cows Discusses Different Types of Board Games, ARMYTRANSPORT Black Friday Sale Happening Now, The Avatar of Cthulhu Up On Kickstarter, Rebel Minis Releases 28mm Scale Cyberdogs, and New Monster Hunter Mini Available From Brother Vinni. The folks over at Brother Vinni have become known for their SAGA releases recently. It's nice, because I can actually show you pictures of the figures. They've got a new one over in their shop. It's Shield Maiden Astrid, and you can pick her up now. Brother Vinni has a new resil SAGA miniature available for you over in their webshop. Whether you think that there may or may not be dragons, I wouldn't tell Ulrich that there aren't. He calls himself the Dragonslayer and looking at him, I'm inclined to believe he did it. At the very least, I don't want him to become "Ulrich the Slayer of People Who Says He's Not a Dragonslayer." 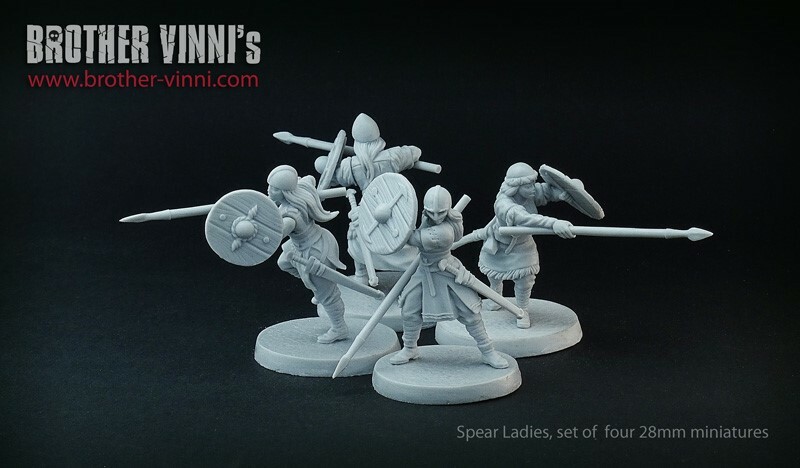 Brother Vinni's got a new unit available for SAGA over in their webshop. It's a group of four slavic-style women with bows. Reach out, reach out and touch someone with metal-tipped death as your enemies try to close with you. You can pick up this unit now. I know many gamers just north and east of me are probably hunkering down for the storm that's on its way. I hope everyone stays safe out there. Probably want to stock up on some bite-sized gaming stories along with batteries, water, and bags of chips. 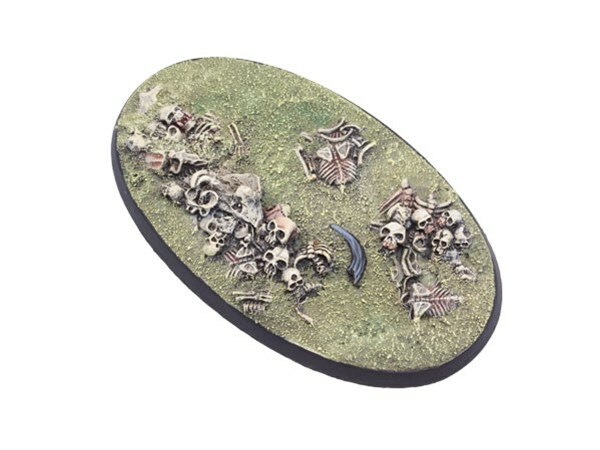 Today on the platter we have: Kraken Dice Weekend Sale Happening Now, Bonefield Bases Available From Tabletop-Art, and Armed Princess Miniature Available From Brother Vinni. Along with making general fantasy and sci-fi minis, Brother Vinni also creates figures specifically for the SAGA miniatures game. This time around, it's a new Shield Maiden figure. There's no "damsel in distress" about this figure. She's going to be the one causing distress to anyone standing on the other side of the battlefield from her. Yes, it's Friday. My 2nd favorite day of the week. It was also nice and cool out this morning, only reinforcing what I've already got in my mind that it's Autumn already and you can't tell me different. *puts on Type O Negative list on Spotify* Hey Bacchuuuuuuuuuuus-aaah, she hates meeeeeeeeeee. So while I jam out, let's also get some bite-sized gaming stories in us. 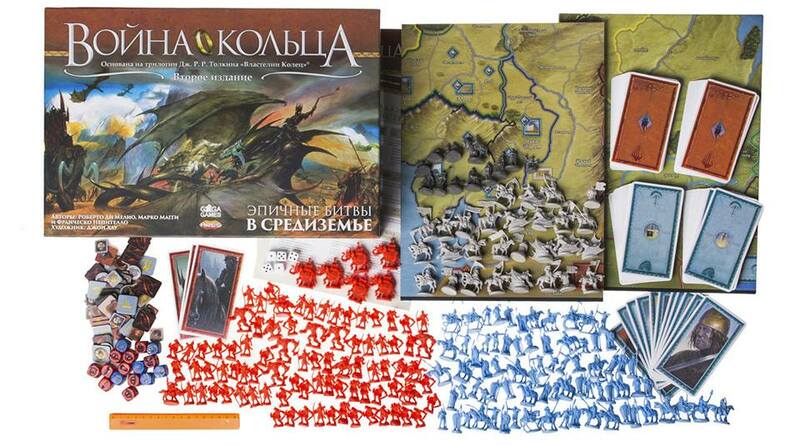 Today on the platter we have: Bombshell Minis August Sales Happening Now, Krakon Games has launched Overlords 2: The Hunt, Tomb of Skalbar D&D 5th Edition Video Game Coming to Kickstarter, Perfect Plastic Dice Up On Kickstarter, and Brigade Models Releases New British Aeronef. It's August. And I know that this month is still summer, but... I mean, they're already selling Reese's Pumpkins at my Kroger (and have for 2 weeks now). I've got the doors and windows open because it's only supposed to get into the upper 70s here today, and I've put on my Type O Negative station on Pandora. It's autumn, as far as I'm concerned. 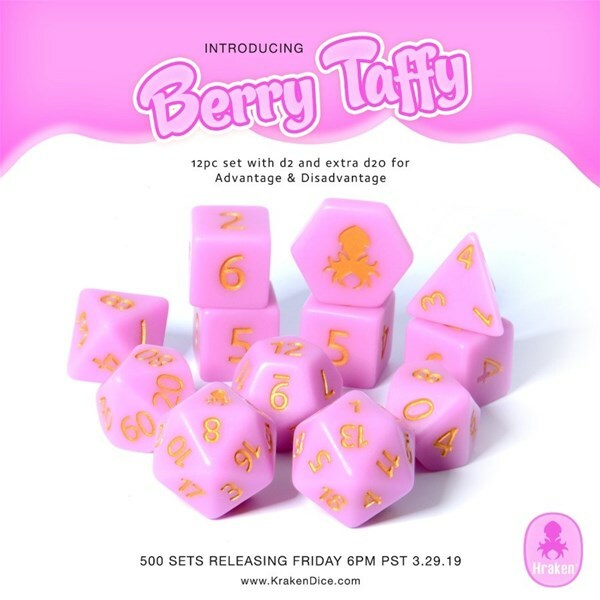 And as the season for tricks and treats gets started (for me, anyway), let's get you some bite-sized gaming stories as well. 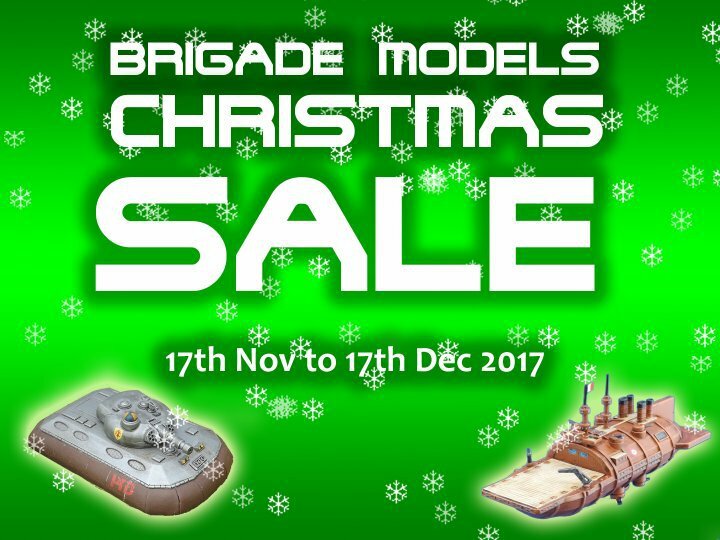 Today on the platter we have: Get a Free Mystery D20 Pin From Kraken Dice, Brigade Models Releases New Squadron Commander Models, and New Captured Princess Model Available From Brother Vinni. As always, I'm excited that it's Friday. I've got D&D tonight and then a weekend of cleaning. But hey, there's still some gaming in there. But before I pretend I'm a blue dragonborn and then go all domestic on my domicile, I need to fill up on some bite-sized gaming stories. 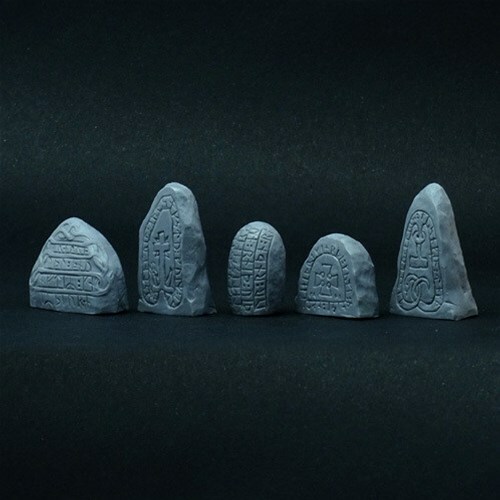 Today on the platter we have: Elder Dice Now Available To Order, Animal Adventures: Tales of Dungeons and Doggies Up On Kickstarter, New Master Commander Available From Brother Vinni, Deraj Studios Announces Fantastical Sub-Saharan Miniatures Kickstarter Relaunch Date, Lost Kingdom Miniatures: Cuetzpal Empire Up On Kickstarter, and Dark Art Summer Sale Happening Now. The week's half over. Man, what a start. Been busy the last couple days. We'll see if the end of it smooths out some, or if it's going to be a mad dash to the end. Either way, leisurely jog or sprint, we should make sure we're filled up on some bite-sized gaming stories. 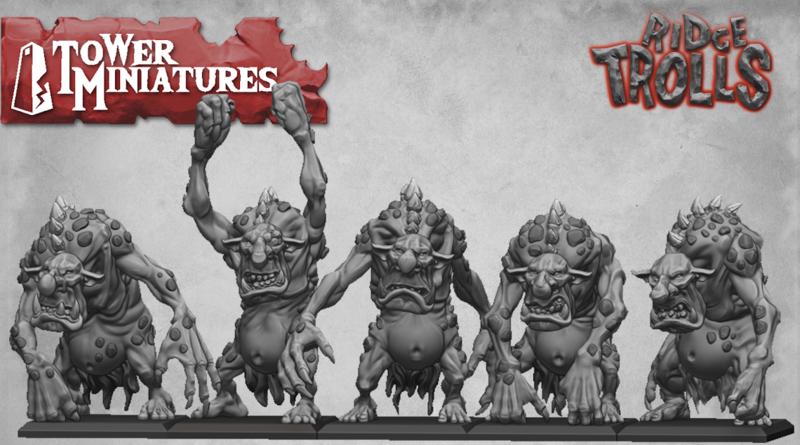 Today on the platter we have: 15mm Samurai Range by Philip Mann Up On Kickstarter, New Female Gladiator From Brother Vinni, and Tower Miniatures Launches Ridge Trolls Kickstarter. Brother Vinni is mostly known for making generic sci-fi or fantasy miniatures. But, in this case, they've got specifics in mind. 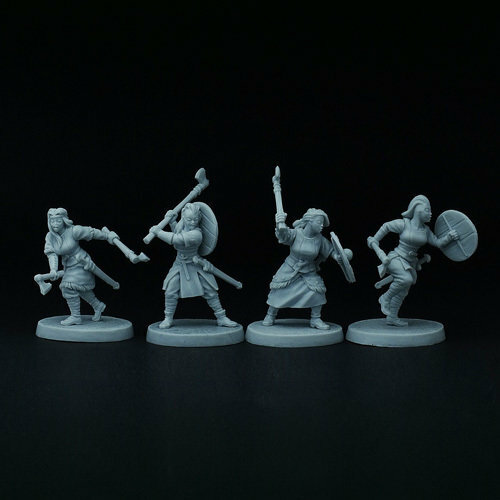 They've created a new unit of Spear Ladies for SAGA, and you can pick them up now over on their website. Man, I've been looking forward to this one. It's been a rough week, but that's all in the past. The weekend spreads ahead just filled with opportunity. I've got some D&D tomorrow. How about y'all? Well, whatever it might be, you should definitely stock up on some bite-sized gaming stories to begin with. 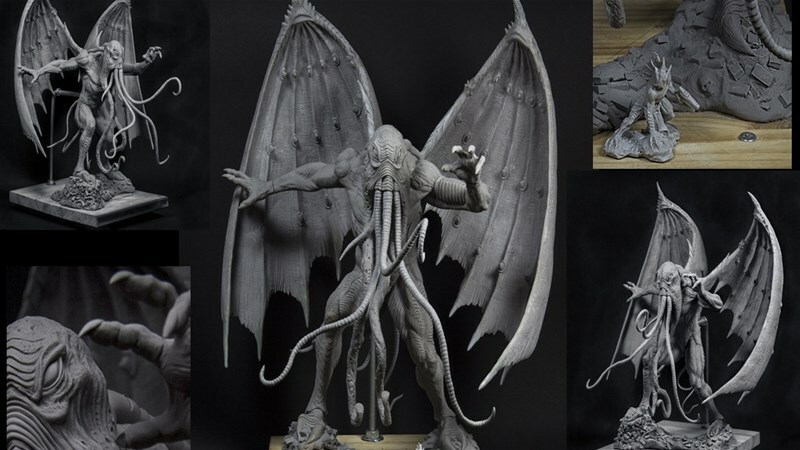 Today on the platter we have: Kraken Dice Launches Iconic Mythical Dice Kickstarter, New Bunny Girl Mini From Brother Vinni, Hirelings of Asura Miniatures Up On Kickstarter, and Brigade Models Releases New Spaceships. The week continues to chug along. We've made it halfway there. Just another couple leaps and we'll be back to the weekend. I'm excited to hopefully get back to the Tails of Equestria game we've been playing here at the office. It's been since before the holidays that we managed to have our last session. So it'll be good to get back into the swing of things. But if I'm going to be at the office late, I should probably grab a snack of some bite-sized gaming stories. 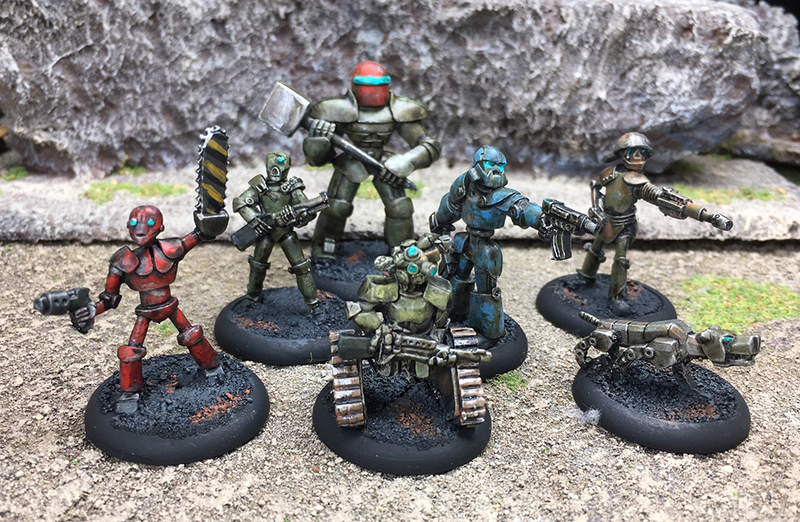 Today on the platter we have: The D20 Collective Running Metal Gaming Coins Kickstarter, Brigade Models Release More British Aeronef, New Mercenaries Miniatures Available From Brother Vinni, and Kraken Dice Iconic Blue Giveaway. Hey everyone! We've made it to another Friday! Hopefully your week is going well. As we get nearer to the end of the year, mine's getting busier and busier. Articles, proofing projects, just all sorts of things to work on. It's going to be a busy holiday. But it's alright. Anyway, let's get to today's tasty, bite-sized gaming stories. 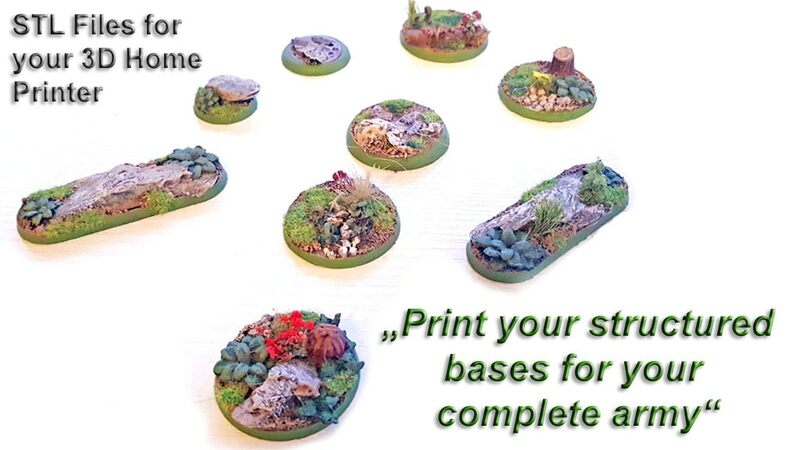 On the platter today we have: Khurasan Releases Biblical Barbarian Foot Guards, ESLO Terrain Running 3D Printable Bases Kickstarter, and Hero of Nord Mini Available From Brother Vinni. Apocalypse! Armageddon! The End of Times! 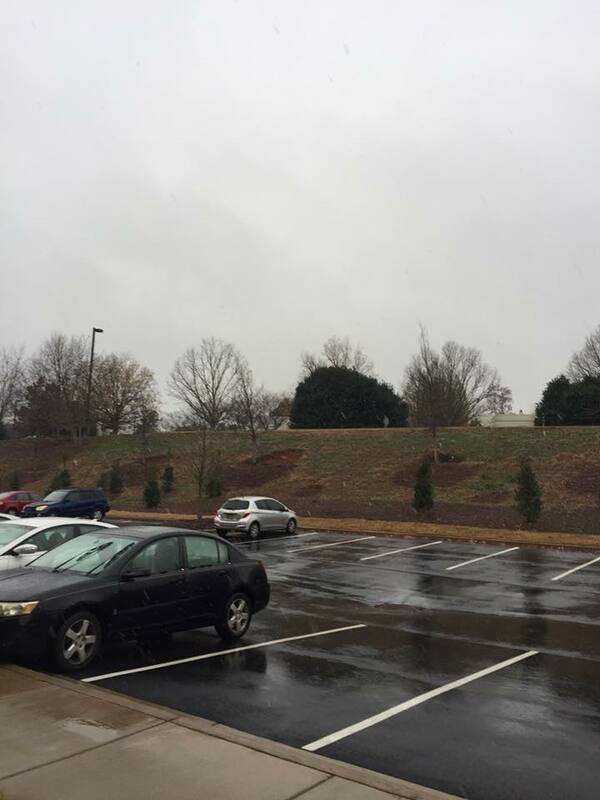 Yes, it's lightly snowing here in Atlanta. ... Ok, so it's kinda hard to see in that photo, but it's actually picked up a bit more here. So, while we prepare our milk sandwiches with bleach, we can also nibble on some bite-sized gaming stories. 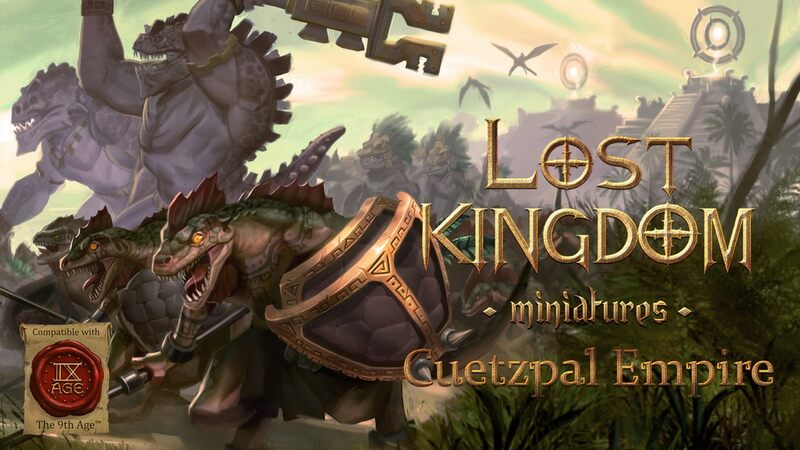 Today on the platter we have: New Legionary Sentry Gun Battery Bundle From Kromlech, Rebel Minis Release Screecher Bug and Robot Gan, Woodland bases 30mm RL and 40mm RL Available From Tabletop-Art, and New Medusa Miniature Available From Brother Vinni. Continuing the theme, in a way, it's Friday, since it's the last workday of the week. But it's actually Wednesday. Thankfully, either way, we'd be having a Snippets post. So, before we all chow down on all that delicious food tomorrow, let's tide ourselves over with some bite-sized gaming stories now. On the platter we have: More Ancient Machinery Bases Available from Tabletop-Art, New Guild Ball Tokens and More Available From Advanced Deployment, Brigade Models Christmas Sale Happening Now, November Releases Available From Stoessi's Heroes, New Bunnies Minis Available From Brother Vinni, Aeon Trespass: Nymphs Boutique Minis Up On Kickstarter, Grimlight: Tiny magnet-controlled lights for miniatures up On Kickstarter, Khurasan releases 6mm Federal Army infantry, Bits of War Black Friday Sale Coming This Weekend, and Micro Art Studio Black Friday Sale Happening Tomorrow. The week continues along. We're halfway to the end. Just gotta put our heads down and power through. Not that the week's been terrible, mind you. Just busy. Lots of things on my metaphorical plate before I get lots of things on my actual plate next week. But before we can get there, let's snack on some bite-sized gaming stories. 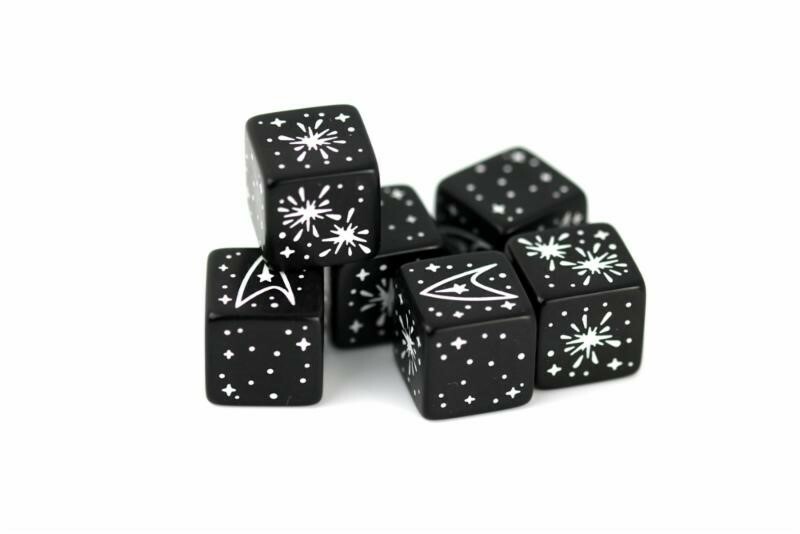 Today on the platter we have: New Star Trek Dice Available From Modiphius, New Female Military Figure Available From Brother Vini, X-Case Clear Expandable Miniatures Display and Transport Up On Kickstarter, Conan: Gamemaster Screen + Gamesmaster Toolkit Available From Modiphius, and Arcane Scrollworks: First Level Spell Scrolls up On Kickstarter. I mean... how does it really get much better than that? Well, I guess I could be gaming afterward. But I don't have any lined up for the evening. 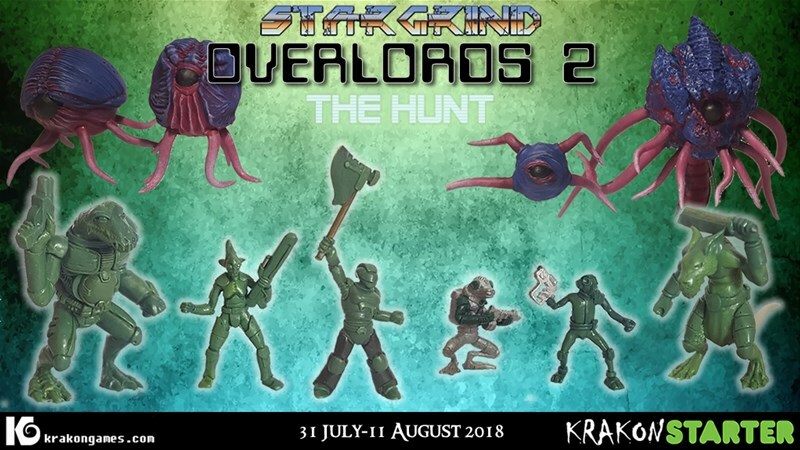 Today on the platter we have: New Sci-Fi Mini Available From Brother Vini, Darkfast Classic Fantasy Paper Miniatures Returns, Weekend Sale at Kromlech, and New Grim Reaper Minis Available From Tabletop-Art.